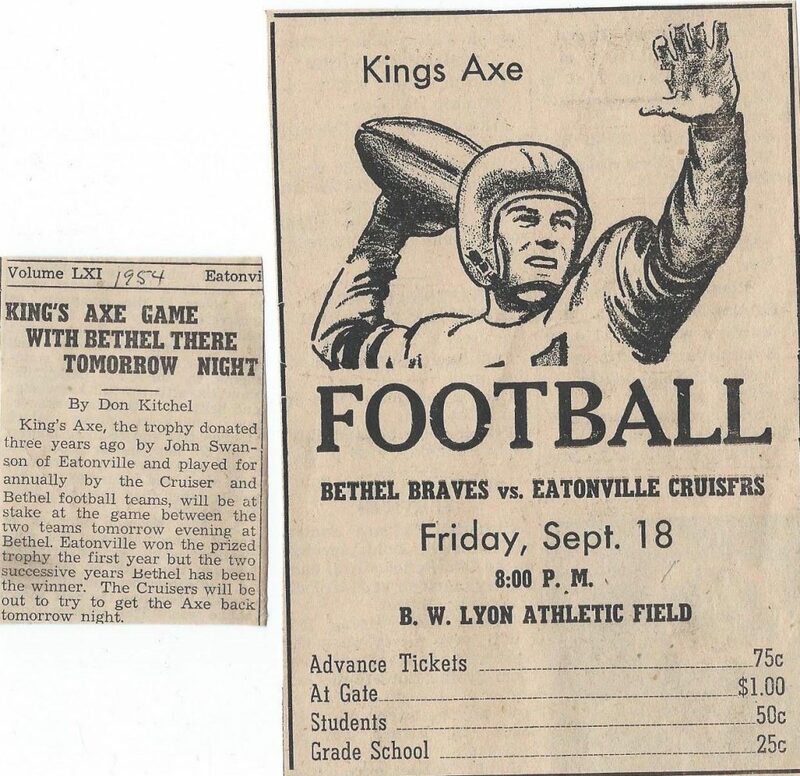 King’s Axe, the trophy donated three years ago by John Swanson of Eatonville and played annually by the Cruiser and Bethel football teams, will be at stake at the game between the two teams tomorrow evening at Bethel. Eatonville won the prized trophy the first year but the two successive year Bethel has been the winner. The Cruisers will be out to try to get the Axe back tomorrow night. We probably lost, I was a member of that team!